This workshop is now at capacity and the registration is closed. If you would like further information, contact Matt Minner at mminner@catalystconnection.org. 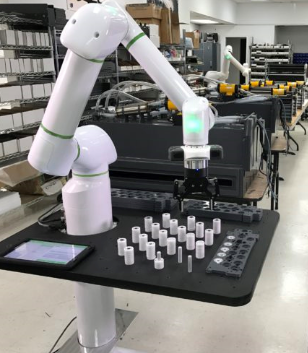 Please join us on November 15th for a special workshop exclusively for manufacturing companies interested in learning more about implementing robotics at their facility. This workshop will help provide a basic overview of automation and robotics in a manufacturing operation, and most importantly, how to identify opportunities at your own company for robotics integration. Catalyst is co-hosting this workshop with our partner, BCS Motion. BCS Motion is an Automation Solution Provider with over 100 years of combined industrial knowledge. BCS works in sync with your engineering department to provide and support a working solution; whether it is retrofitting existing equipment with new motors and controllers, to providing robotic systems. We work with customers both large and small to provide guidance on making educated decision on implementation automation into their process. No Cost for Manufacturers! $25 fee for any Non-Manufacturers.